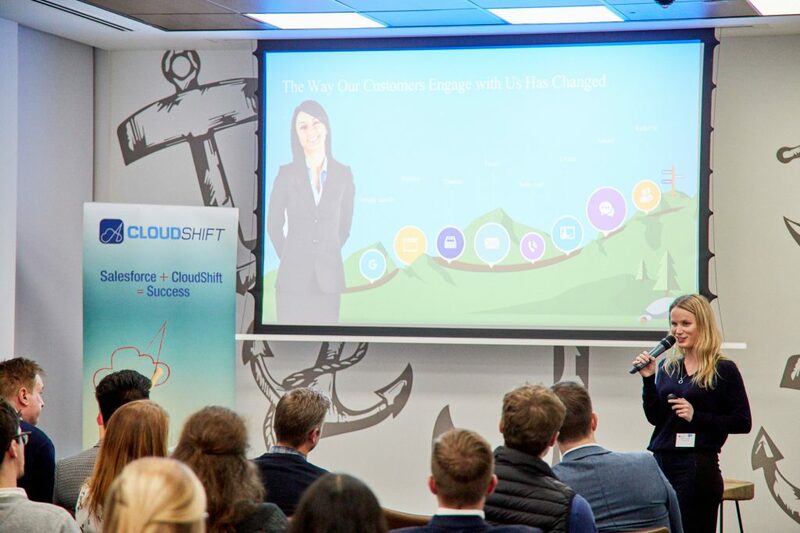 CloudShift were delighted to co-host with Salesforce Disruptive Brands – Insights & trends in media event on 16th November, with over 50 guests coming along to our London office at 20 St Dunstans Hill. There was a great mix of attendees across the disruptive brands sector, and a real range in terms of start-up companies as well as medium and large established businesses. 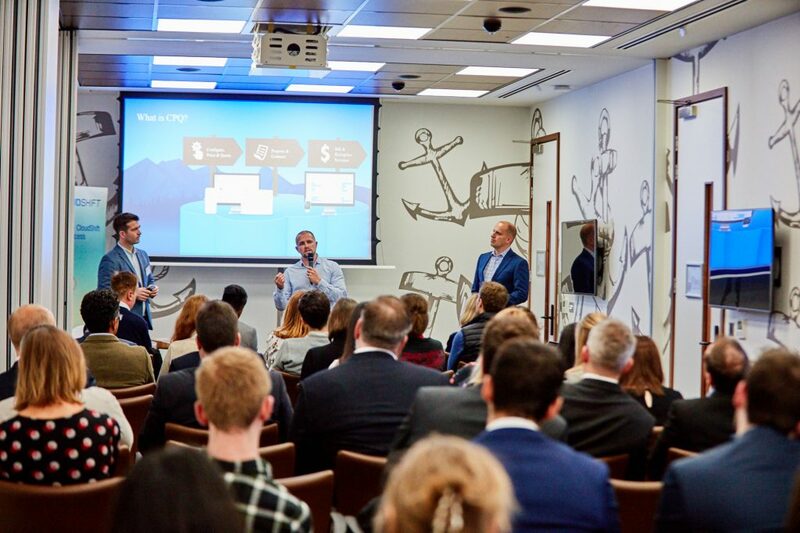 Guests enjoyed live demonstrations from Salesforce executives and shared their experiences with each other on how they implemented and get the most out of Salesforce. The evening started with an introduction from David Murphy Corporate Account Manager at Salesforce, David explained his role within Salesforce and how he has seen the Salesforce platform give many disruptive brand businesses the leading edge. Our guests then had the opportunity to hear from Shani Naik CRM Executive from The Drum, Shani successfully managed and had key involvement of Pardot migration and implementation from previously marketing automation platform that The Drum was using, he also uses Pardot on a day to day basis so his first-hand knowledge was well received from the audience. Beth Casey Pardot specialist gave an in-depth demonstration on Pardot and the ways in which marketing automation can drive sales and opportunities. A panel of industry experts including digital entrepreneur Hugh Chappell, Billion Dollar Boy’s founder Edward East & The Drums chief marketing officer Philip Buxton, an invaluable conversation was had and we were able to gain insight into how these Media organisation’s are using the Salesforce platform to streamline their business, acquire new clients and enable them the become more disruptive within the industry. 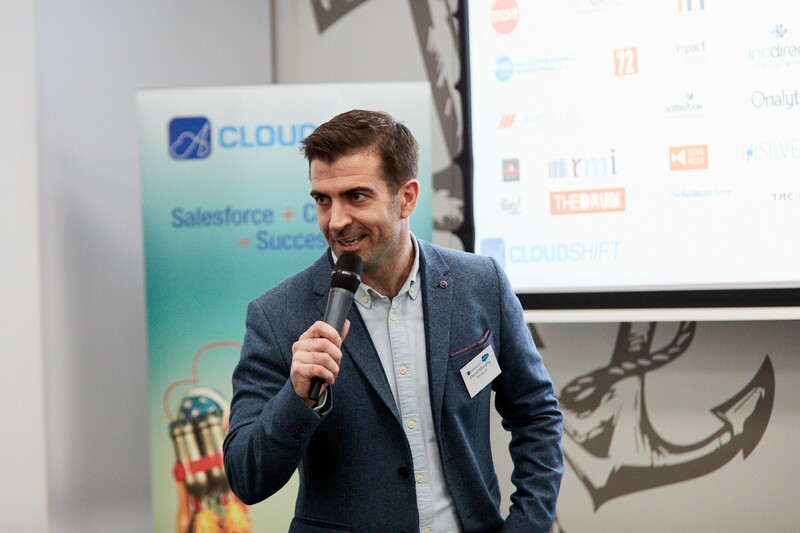 Alastair Murray our Managing Director concluded the evening and gave advice on how to successfully implement and optimise Salesforce, drawing from over 10 years of experience using the world’s leading CRM platform. Following the panel discussion, guests went up to ‘The Deck’ where we enjoyed drinks and a nice warm curry whilst enjoying the stunning city views. 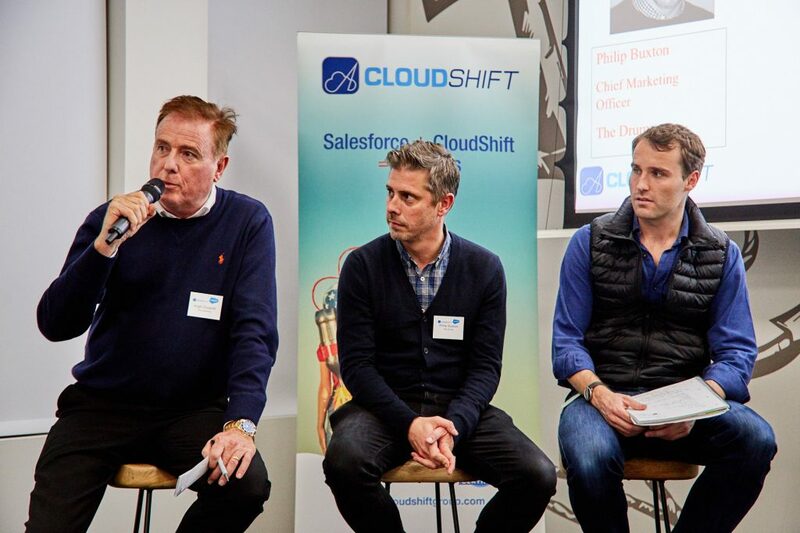 We would like to extend a big thank you to all our speakers at the event, to our friends at Salesforce and to all our guests who came along. If you were unable to attend but would like more information on how to implement or optimise Salesforce, then we would be happy to give you more help and advice. We look forward to welcoming more great speakers and guests at our next event!